$530 goal is not reached. 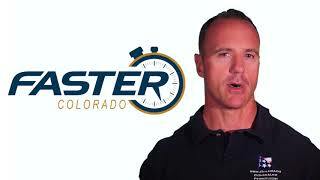 At FASTER Colorado, we provide the necessary training to give school personnel, who voluntarily offer to be THE first responder, a fighting chance in case the worst happens — an active shooter storms the building. FASTER training enables teachers, administrators and other school employees to stop school violence quickly and administer medical aid immediately. FASTER is not intended as a replacement for Police and EMTs. Instead, it enables on-site personnel to save lives through prompt action. The total cost of the training is $1,000 per student, which includes three days of intensive training with professionally-trained staff including members of law enforcement, a world-class, covered training facility, and trauma kits for each participant to take back to their school. This training is so important that we offer scholarships for anyone who cannot pay. Our next class is November 19, 20, and 21, and we need to purchase five more trauma kits. Each kit costs $100. So we are asking for $530 total to cover the cost of five kits and our freedomfy fees. At FASTER, we know that not everyone wants to be a voluntary armed responder, but everyone can help prepare that responder by helping us provide trauma kits for them.